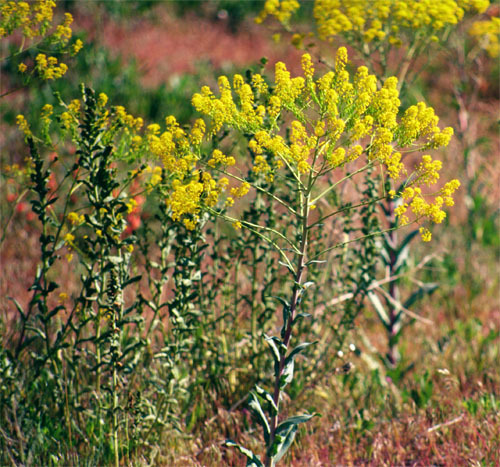 Dyer's woad is native to southeast Russia and central Asia. 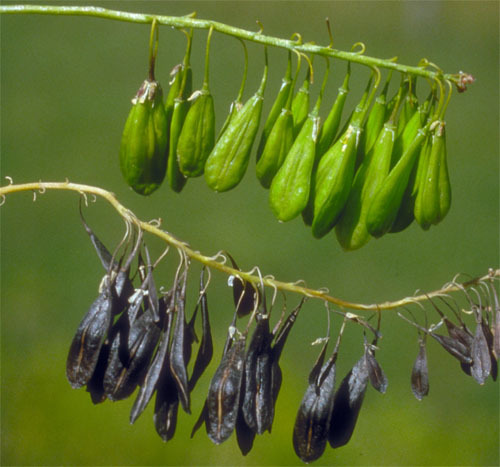 It was introduced to eastern North America in the 17th century as a medicinal herb and source of indigo dye. 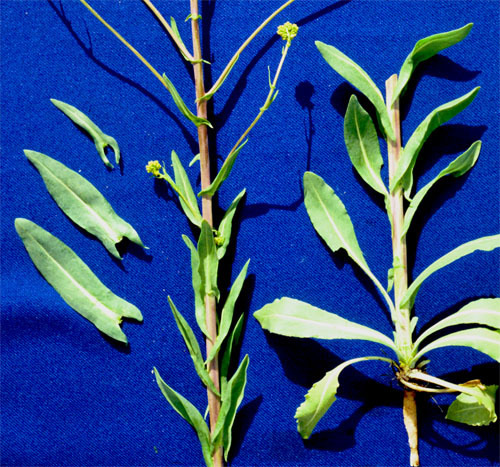 A single Dyer's woad plant can produce as many as 10,000 seeds per year. 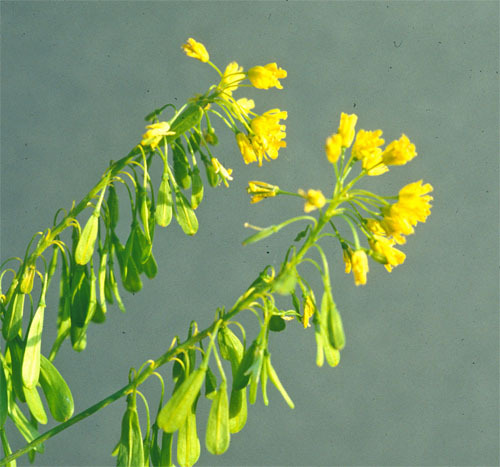 This plant can invade crop fields and grassland and out-compete native species. It reduces yields of crops and forage. This weed has small yellow flowers with four petals arranged in a cross-shape. Basal leaves have long stalks but stem leaves are sessile and clasp the stem. All leaves are blue-green in colour and have a distinctive cream-colored midrib. The plant grows up to 120 cm tall with a heavily branched upper portion.